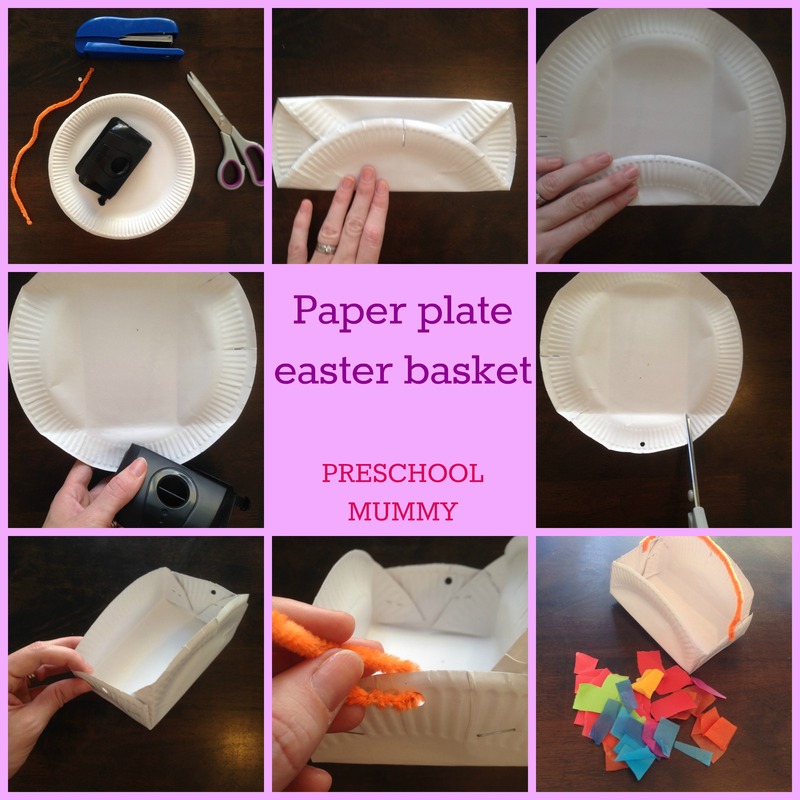 Easy Easter basket – last minute craft alert! 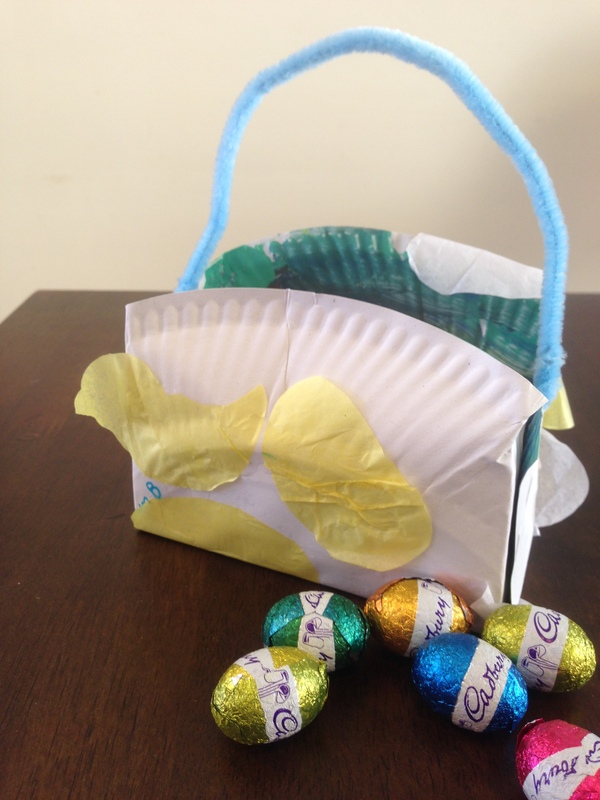 The dilemma: Eldest son has an Easter basket that he made at kindy (quite elaborate – paint, stickers, crepe paper, handle – the works). Other son has zip. Easter egg hunt at kindergarten begins in two hours. Hiding my panic under a wafer thin veil excitement, I rummage through the craft supplies in an effort to avoid cracking out the store-bought Easter baskets that The Bunny has put in short term storage in our walk-in-robe. Gosh being a mum is fun. Lucky I’m that spontaneous, fly-by-the-seat-of-my-pants-kinda-girl (insert snicker here). Little man is suitably impressed. Phew. Now we’re off to the Easter Egg hunt! Three sleeps until Easter everybody. Previous Post Big W for (quite) a few Little Bargains! Enter your email address to follow Four to Adore and receive notifications of new posts by email!